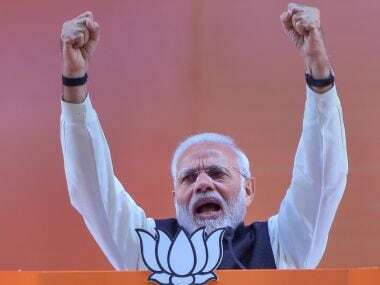 Dehradun: For the first time, the Bharatiya Janata Party (BJP) is jumping into the poll battle without its two strongest pillars in Uttarakhand, who were considered integral to the party's state leadership so far. Before Prime Minister Narendra Modi and BJP president Amit Shah's dominance in national politics, the party's politics in Uttarakhand was centred around its two sitting MPs and former chief ministers — Major General (retired) Bhuwan Chandra Khanduri and Bhagat Singh Koshyari — since the state was carved out of Uttar Pradesh in November 2000. The party's identity in Uttarakhand was also correlated with their names. However, marking the passing of the old guard and the arrival of a new order in the Himalayan state, the BJP has not given tickets to either Khanduri or Koshyari for the upcoming Lok Sabha election. 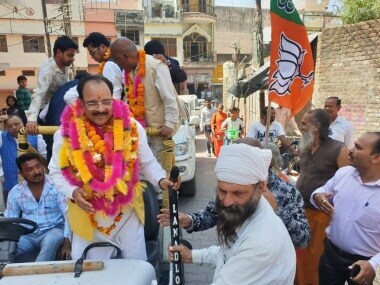 Instead, it has fielded another former chief minister and sitting MP Ramesh Pokhriyal Nishank from the Haridwar constituency the second time and shown trust in the leadership of Union minister Ajay Tamta by fielding him from Almora. The royal family's Maharani Mala Rajya Laxmi Shah is the BJP candidate from the Tehri constituency. Khanduri represented Pauri since the 1991 Lok Sabha election. The only election he lost was in 1996, when Satpal Maharaj defeated him on an All India Indira Congress (Tiwari) ticket. The party has since merged with the Congress, and Maharaj joined the BJP. Khanduri was also part of Atal Bihari Vajpayee's Cabinet as the surface transport minister and went on to become Uttarakhand's chief minister twice. 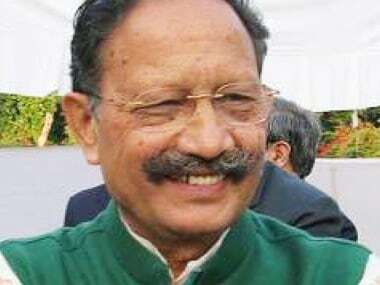 In spite of the consecutive victories and a clean image, Khanduri didn't find a place in the Narendra Modi government. He was also removed from the chairmanship of a parliamentary standing committee last year. Now, his son Manish Khanduri has joined the Congress, and it is believed that Manish switching loyalty is the reason for the BJP's treatment of his father. Khanduri, however, has refuted this claim, saying he had told the party high command he did not want contest the election this year due to ill health. "Of course, I am with the BJP right now, and whatever duty is given to me, I will do it. As far as my son joining the Congress is concerned, he is free to make decisions for his future at his own discretion. It is not an unusual thing as my mother also belonged to the Congress, but I joined the BJP. It shouldn't be taken as unhappiness at all, as it is being highlighted," he said. Khanduri emphasised that besides being with the BJP, he was also a father, and that if any confrontation arose, he would think about it. It was under Koshyari's presidentship that the BJP had formed the government in Uttarakhand in 2007, but it was Khanduri who was ultimately nominated for the chief minister's post, and Koshyari was subsequently sent to the Rajya Sabha. He contested his maiden Lok Sabha election from Nainital in 2014, when he registered a landslide victory by a margin of over 2.5 lakh votes. Like Khanduri, Koshyari, too, was not inducted into Modi's Cabinet. 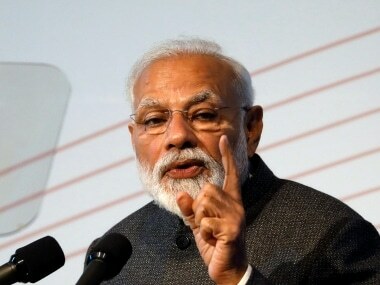 "I had told the high command two and a half years ago that I will not contest the 2019 Lok Sabha election. I am always fond of encouraging the youth, but it does not mean that seniors should not contest elections either. It was my personal desire to stop fighting elections without any resentment. All these rumours that I'm angry about not being given a ministry are worthless. The party made me the state chief, the chief minister and an MP in both the Rajya Sabha and Lok Sabha. How can I be angry?" Koshyari said. Dropping Koshyari, the BJP fielded its Uttarakhand unit chief and former minister Ajay Bhatt from Nainital. Bhatt, who lost the Assembly election from Ranikhet in 2017, is contesting his maiden Lok Sabha election. The Congress has dominated Nainital most of the time in the hustings. "There is no reality in the rumours that Khanduriji and Koshyariji are unhappy. Both leaders are the pillars of the BJP in Uttarakhand. Under their guidance, we have grown up as leaders. There shouldn't be any doubt in them standing with us to secure a clean sweep again in Uttarakhand," Bhatt claimed. Among the state's three former chief ministers, Ramesh Pokhriyal Nishank is the only sitting MP (Haridwar) who was given a ticket again, even though no sitting MP has ever been given a second chance from this constituency. Confident of his chances, Nishank said: "Prime Minister Narendra Modi's blessings have always been with me. I am thankful to the national leadership that fielded me again from Haridwar." In Almora, Ajay Tamta has been fielded again despite complaints about his performance. 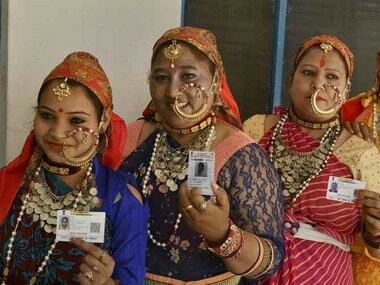 The BJP seems to have had little choice in Uttarakhand's only reserved constituency. Meanwhile, Maharani Mala Rajya Laxmi Shah, a two-time MP, has been given a ticket again from Tehri, where candidates from the royal family have won nine general elections and a by-election, so far. 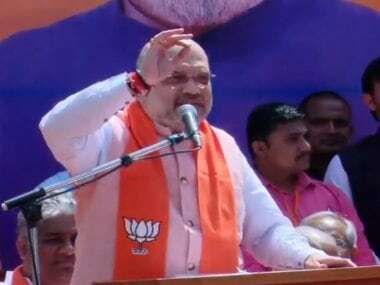 Although a segment of the BJP is believed to have been was against her candidacy for "underperformance", the BJP high command fielded her again in Tehri, keeping in mind the influence of the royal family in the constituency. Furthermore, former chief minister Ramesh Pokhriyal also became a stakeholder in the equation in the midst of the arch rivalry between Khanduri and Koshyari. But under Modi's leadership, the results of 2014 Lok Sabha election marked the dawn of a new political era in Uttarakhand. In spite of a clean sweep with three former chief ministers in the Lok Sabha, none of them were inducted into Modi's Cabinet. Surendra Singh Arya, a political commentator, said that besides the candidature of Maharani Shah, BJP's high command gave priority to its own cadre in the other four constituencies in the state. Sidelining Khanduri and Koshyari was a clear sign of the second line of command coming to the fore, he added. However, the victory of the new crop will depend on the strategy of and unity in the party.